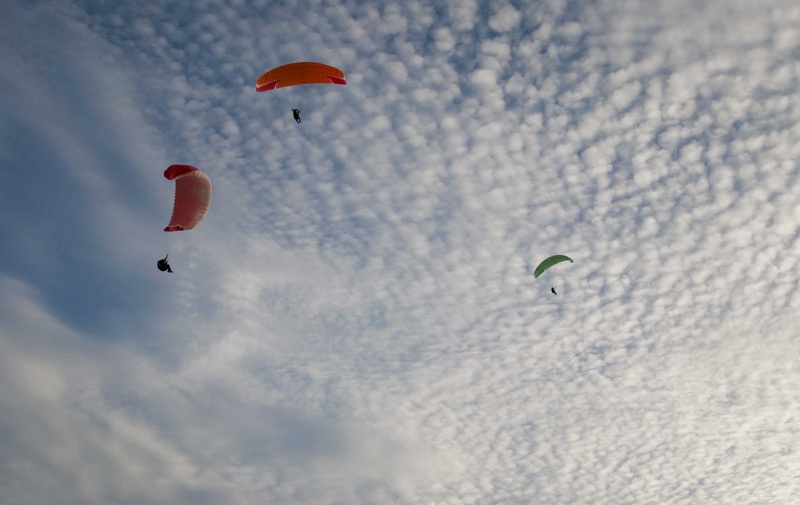 Today had been forecast to be good so Glenn and I decided it would be a good time to get him back into the air. After a few hours of a mix between PT, Admin and a large breakfast we set off for curium and arrived there around 13:00. 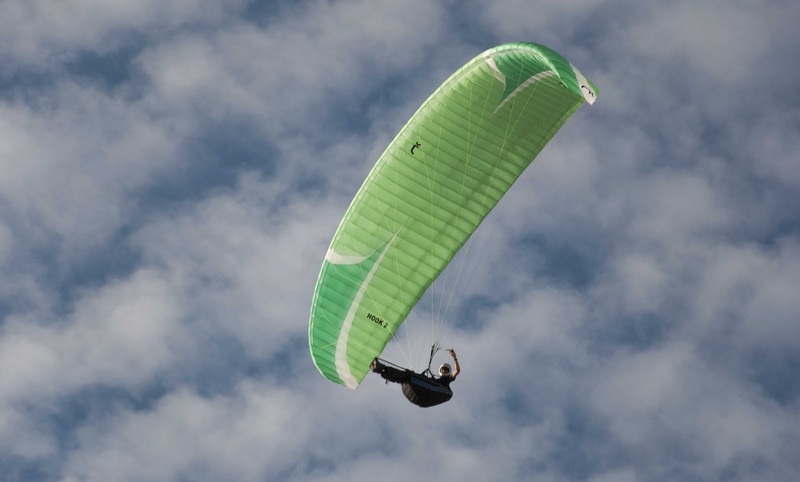 1 Glider was already in the air and as I alighted frm the car a German guy had just took off from the top with some assistance from a friend. I quickly hung my self in the hanger to try to sort out my new speedbar. It's a little annoying, having it's adjustment at the foot end of the system! I'm still trying to get comfortable with my stirrup but think I'm not far off! Glenn was playing with his wing on launch just getting back into the swing of things and although it was strong it looked within limits as Glenn was able to bring the wing above his head and hold it on the risers before bringing it back down under control. I told him he should clip in when he is ready as it may get stronger before too long and he did. Unfortunately it did get stronger and Glenn's first attempt ended with his wing over the barrier and him sitting on the floor a little bemused so we bunched up and walked to the sand pit. In the sand pit the wind was still a little strong but within limits. Glenn managed to make launching look like hard work by having another 2 flops into spikey bushes! but apparently the first one was the wing and winds fault! Not Glenn's because he didn't have hold of any lines and the glider just took off on it's own! clearly the wings fault! Eventually though, I hung on Glenn's harness and he was away albeit in a little unconventional manner through a bush but these are Sandpit launches and in my mind, as long as you are away from the hill without breaking your legs you're golden! 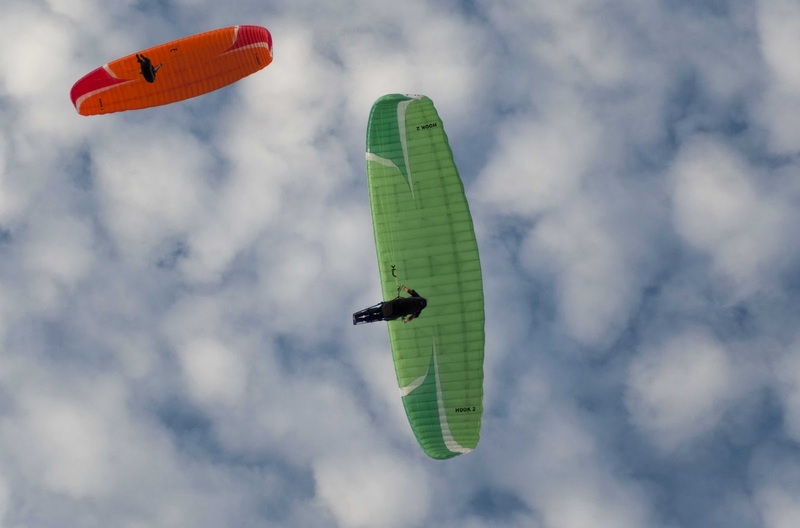 Well I looked around the sky and noticed that one of the gliders had landed but Glenn and the German guy were doing fine. 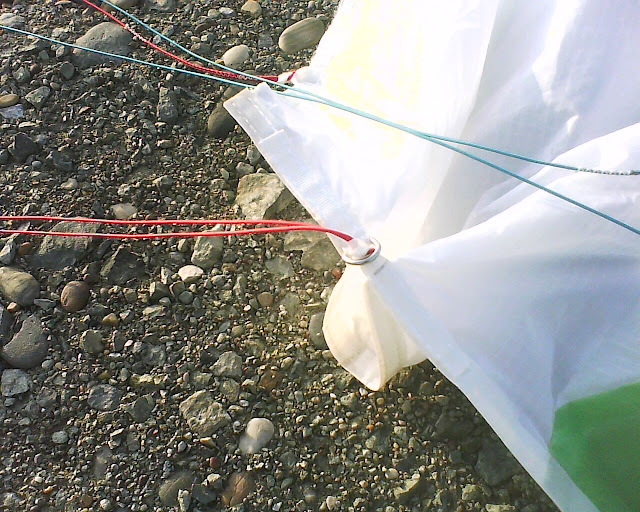 I set up my Hook2 and once again found that bunching the glider brfore launch works better than laying it completely out. The glider was blown about launch a couple of times and picked up a nice looking rock which has ruined all my pictures of the wing damn it! So next time I'll just leave it bunched until I'm clipped in then open the wing when I'm ready. Well my launch wasn't that much better than Glenns but I managed it in one go, the wing came up and lifted me but then it dropped back and I struggled for control. 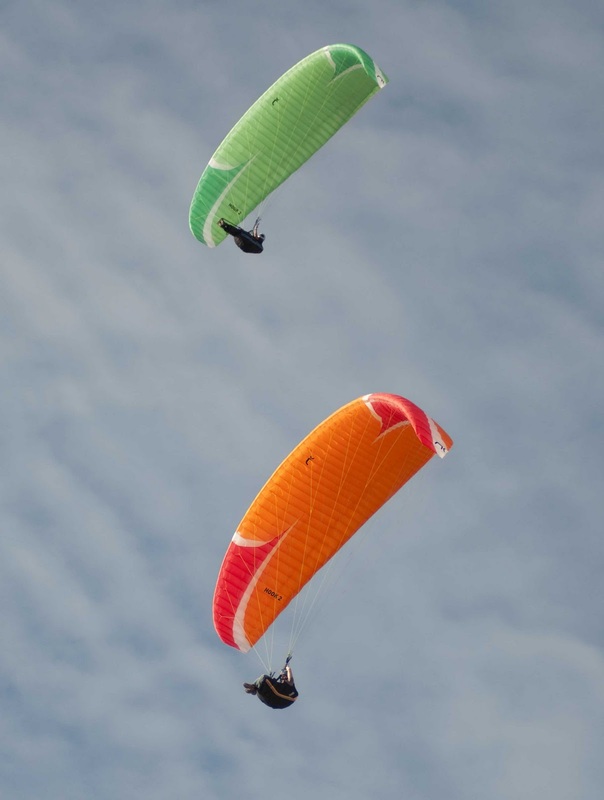 I was dumped on my back with the wing flailing above me. I swa that it was still facing forward and was able to re-inflate the wing and use it to lift me back onto my feet. No sooner as I felt my feet on the ground I turned and was off! A bit weird but like I said before as long as I've got all of my limbs entact, job done! roughly 30 minutes later Paul arrived and I flew over to let him know it was strong and that a sandpit launch would best. Paul made it look positively easy. Setting up in around 5 minutes and launching perfectly! After a little while Tim and Lou arrived to photograph me and Tim set about getting his Hook 2 ready. Tim has a red and Orange wing which he says he likes! Tim's Red and Orange Hook 2. Looks nice on the ground! 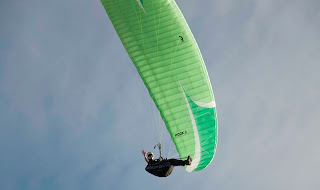 Glenn on his club's Primax! I was stunned by the Halation of the sun off these clouds! Paul giving it very big Ears! Ahh the Hook2 Joins me! Me! Photographing Lou Photographing Me! Unfortunately mother Nature got the better of me and I was forced to land, but once I'd packed my rig away this sun set was just amazing! A few more pics of me provided by Lou! Thanks Lou! Well after re-naming my Blog I can't quite believe how apt it is! I flew my beautiful Spring (Green) Niviuk Hook2 yesterday for the first time and I have to say that I was very impressed say for one minor defect. Let me explain. During my long wait for my glider to arrive from Niviuk, a friend of mine told me about a fellow pilots (James Dell) experience with a demo Hook2. Whilst he was flying he noticed that the knotted tape used to affix the brake line to the wing tip had pulled through the 'D' ring and had become snagged and he was unable to release it. This happened to him once on both sides and he decided that due to the turbulent conditions it was unsafe and was forced to land. Well my first experience of the hook went a little like this. The wind came round in the early afternoon from Easterly to a very nice and smooth S to SW and I laid out my Hook2 on launch. I noticed that as soon as I left it alone to pick up my helmet, harness etc. it wanted to fly and caught every slight breath of breeze which pulled it around so I elected to bunch it until I was all ready and clipped in. I noticed that the magnets on the risers and breaks were almost too efficient, hoovering up iron filings from the ground and sticking to the other magnets. This really wasn't a drama but was more of an annoyance as I familiarised myself with the wings layout. At one point two of the magnets stuck together with my glove in between them, very annoying but I think something that I will learn to cope with. 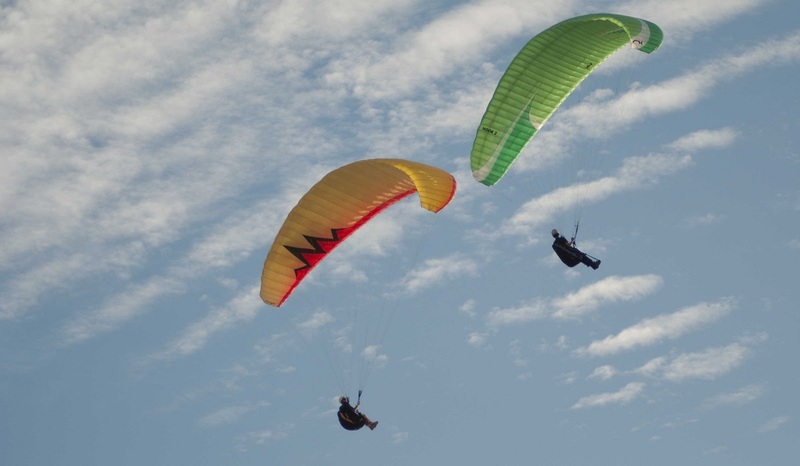 I had decided not to fly with my vario on since I wanted to feel the glider and not rely on the beeps and whistles to find my turn points. Once set up I made my wall which was satisfyingly easy and lifted the wing using all the A's. Unfortunately things happened a little quickly and the wing overshot me, schoolboy error! I sorted it all out and went again, this time catching the wing before it dove and launching very comfortably. I had been flying for about 20 minutes when I noticed that the wing was tucked in on the right hand side and I noticed that just like James' experience the knotted tape on the break line had indeed "hooked" through the 'D'ring and no matter how much I tugged or shook that side of the wing, there just wasn't enough pressure on the wing to pull the line free. After faffing around for a few minutes I decided it was far safer just to leave it alone and get on with flying. I felt no ill effects from the snag so bore it in mind and then just ignored it. The Hook2 fared very well right from the get go. It turns very neatly and quickly with very little pendulum to damp out. I did some very small wing overs and found it was rock steady throughout the maneuver. I never once felt that the wing was about to tuck nor did I feel threatened by the speed of it. I think that this wing is a superb step up from the Epsilon and a noticeable improvement from the Alpha2 which I was starting to think was boring. anyway here is a photo of my little snag taken just after landing. Well I've thought about it and I reckon "Hooking Up!" is perfect. Well I'll see how it goes! Well after many, many weeks waiting (Since August) Paul Snell and Tim texted me to let met know that it was on the transport and would be with me later that evening. I asked Tim if he would be around for me to collect it and he said he would be. Unfortunately 2 of my Chidren were taken ill and Lisa had to work so I had to postpone my trip until they were better. Well I finished work on Thursday morning and decided I was still awake enough to drive to Akrotiri and back before bed time so off I set. Tim had looked after it superbly for me and I picked it up around 11:00am. I took it straight round to the club house to check it out and wasn't dissapointed. The colour is exactly what I'd hoped for (Palm) Green with dark Green horns. I was quite impressed with the quality of the Rucksack which seems like it has plenty of room for my harness and helmet. All that reamins for me is to fly the thing. I've been on Day shift today and the same thing tomorrow so my best bet will be Monday! not sure if the weather will let me though, I'll have to keep my eye on it. Well I'll upload the photo's later! And I'm still considering the new name for the Blog! This post comes some days after the event and once again without photo's, but all this is about to change as I like Darth Vader have felt my presents! and I know what I have for Chrimbo! A GoPro HD Helmet hero and an Ozone Sausage bag which will compliment my newly acquired Niviuk Hook 2. Well I was expecting Glenn to pick me up at 0930 on 25 October but due to some insomnia he cried off and so I pretty much wrote the day off as a bad job. Around 1000 I got a txt from Paul Snell asking if I was going anywhere to fly as he was at a loose end an he had the Red Rocket. I told him that I had been thinking of flying Avdellaro for some time now but until today had been without a fellow pilot to fly it. Paul said he would meet me at the Cafe and after a couple of minutes of faffing around I set off. On arrival at the cafe I could see the Peugeot garage flags were fluttering nicely along the road though occasionally switching toward an Easterly before blowing along the road in a Southerly manner once again. These flags I have found to be a nice indicator of wind direction and speed but that is all they are as they are a good mile away from the hill. After a couple of minutes Paul arrived and we sat and had a drink whilst I imparted my local knowledge of the site to Paul. We agreed that as Paul was new to the site we should try the Eastern Launch and we dropped my Prelude off in the quarry before making our way to the top. Initial survey seemed doable so we unloaded our kit and tipped up Paul's wing to get rid of his latest curium sand build up but whilst we did this conditions built till they were out of limits for us and after half an hour of chit chat and stone throwing I suggested we at least have a look at UN 111 if for nothing more than a site fam. We jumped back in the Rocket and off roaded our way to UN 111 launch where it was most definitely within limits. Very strange we thought less than half a mile in it and this site is good! There was a largeish greyish cloud looming just behind the hill and seemed to build for half an hour then die off and then build again. Even the strongest gusts coming through were within limits for us so I decided as the "Site expert" between us I'd launch and test conditions. I immediately found that it was doable but light, so I started to look for the lift it was lifty pretty much all along the cliffs and so I thought (as I was well above launch) I'll try the other side. There was a huge punchy thermal kicking off over there just after the first lump and up I went, I turned to maximise the lift and up I went again. This was where I found out I'd made a mistake, in turning into wind and flying through the only good lift, I had unwittingly sealed my fate. All I found was sink with a large side order of sink! this dropped me into the forbidden area behind the ridge in front of launch which worried me a little. I think on a stronger day I could have been in for a bumpy ride but on this occasion I dropped nicely into wind shadow and slope landed in front of launch. Hmm not a good start to the day I hear you all shout and you'd be right! but as I was completely unscathed say for a blemished ego Paul set up and decided he would fly to the left of launch. 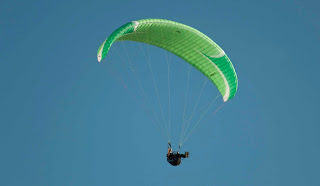 By the time I had clambered my way back up to launch Paul was ready to go but the wind had dropped nearly to nothing at all, he attempted a launch anyway but the wing just fluttered and dropped onto a prickly bush. Undeterred we picked his wing out of the bush and after a brief wait the wind picked up and Paul had a nice 20 or so minutes in wonderfully lifty conditions before landing behind launch to save a walk or pick up. Had we had a second 4x4 this day would definitely have lent itself to a cross country flight but as we only had the rocket and I had to work later that evening it wasn't to be. After Paul had landed I suggested that we should check out Ayia Marina and Paul said ok. We hopped back on the Rocket and drove across to the lone chapel on the hill. I informed Paul that the launch here was extremely technical due to the car park being on a slope away from the hill and thus being in wind shadow. Paul had packed his glider back in the ruck sack so I said I'd like to at least give it a go. I'm pretty sure that I am the first to fly this site in some years unless someone out there can correct me? I'd love to hear from you! even better if you live locally! 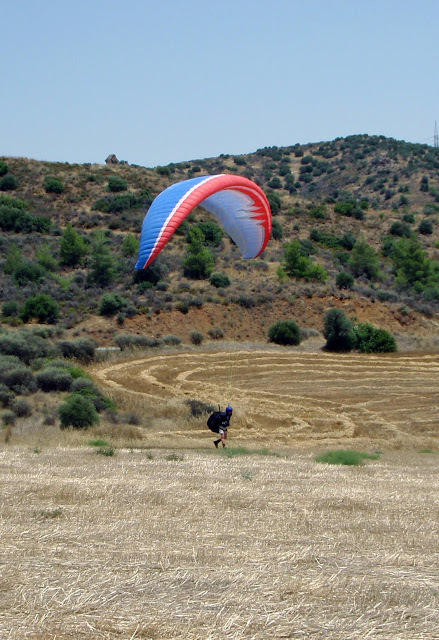 the only other reference to it I can find is this http://www.paragliding-cyprus.com/ which was uploaded around 2003ish. Anyway I flew for around 12 minutes before bottom landing the site is quite small with a worrying looking mast at one end and a chapel on the the other. Beautiful! I was very happy. Fly high and fly safe! Well I can't excite you with tales of high flying or dodgy landings today as the weather just hasn't been very good of late and though I have attempted to fly (2 days ago at Lefkara) my feet have not left the ground. Now while this is very annoying I hear you all shout, it means I have been spending allot of time on the internet pricing up my next toy a Go Pro Helmet Hero 1080p camcorder. 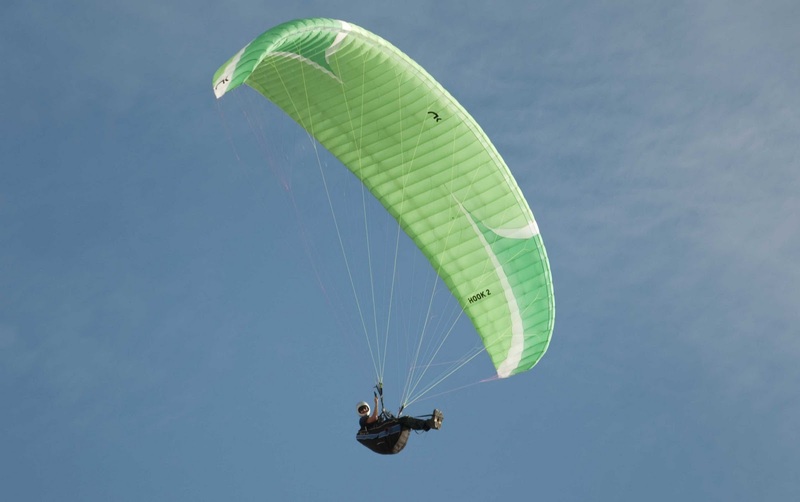 I have looked all over the place and have finally conceded that the cheapest I can find it is through a deal which is set up between the CSCC and UK Airsports (Link above) which knocks £30 off the retail price. If there are any CSCC members reading this, you too can make use of this very fine deal by first looking in the members chat area on the forum and finding the discount code. frustratingly, Christmas is looming and my wife has not overlooked this. She says that it is her present to me and I'm not allowed to see it before December 25th! "But!" I tell her "If you don't let me have it before Christmas, then I won't be able to film the kids opening their gifts!" "You've waited this long! you can wait another month" She says. Adding to my frustration is the fact that Tim is very much in possession of his new Niviuk Hook2 and I have to say I very much like the look of it. Tim was attempting to launch from Lefkara when I saw it but unfortunately Dave had launched 10 minutes previously and we were still feeling the effects of the power vacuum he left in his wake which ended up with the wind blowing from the back of the hill and killing any chance of us launching. I on the other hand still haven't seen my new Hook 2 though it is now on its way from Spain to the UK. I am very excited to see it and will probably try to bunk off work if necessary to go and get it. I must think up some plausible reason why I need to be at Akrotiri that day! Anyway, that is all of my news without going into family affairs so until next time Fly however makes you feel! but be careful! No Glider, No Weather, No Fun, No Fly! Well when I say no Glider what I mean is that my New Hook 2 is still yet to arrive from the UK and I'm dubious as to whether it has even left Spain! Maybe I'm just paranoid but it's been like 6 weeks easy and I feel like I'll never get it. As you've all probably read, Tim has his which arrived about a week ago and looks pretty sweet in it's lovely Orange (Wire) with red tips. He is really quite impressed with its look as am I if I must comment. I only hope that mine will arrive in equally good order. I plan to take it straight down the club to spread it out for the first time and admire it's Green (Spring) colour before taking it to Curium for a couple of "first hops" type flights just to get a feel for it. Then I'm off new places with Slovenia in Apr and then who knows where? 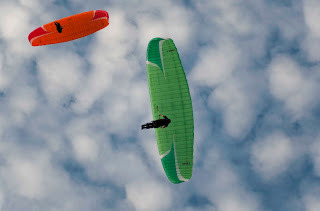 So all in all I am a little Green with envy of Tim at the moment and my only consolation is that Tim has yet to find a flyable work/weather window to test his beloved new wing! and that makes me happy! So amazingly happy in fact that I'm actually feeling pleased that he is not enjoying it. I know that's not a very kindly or friendly manner to carry myself in but I just can't help it! He has his toy and I'm lacking in that department! Well no you know why I haven't posted to this blog for a while I'll sign off! 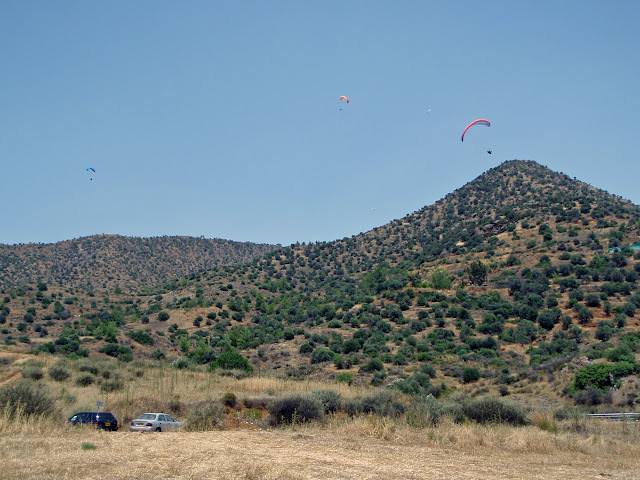 I'm hoping to fly on Thursday and I'm hoping it'll be at Avdellaro with friends as this hill seems to be the where the wind is blowing. Well, Coupe Icare is almost over which means my new Niviuk Hook 2 should soon begin it's journey from France across the water to the UK and then through the slightly altered BFPO route back to me here in Cyprus. Whilst I'm fretting about how long it's taking I thought I ought to think of a new title as I haven't been flying the old Epsilon for quite some time now since it went away for service. I never even considered changing the title when I started flying the Alpha 2 as to be honest though I like the wing it's not challenging enough for me and in difficult conditions it's glide ratio is such that I find myself far lower that the guys on the higher spec wings and often find myself fighting to gain height just to be above them with varying results. I don't enjoy this kind of flying and often get fed up and land a long time before I should and go wait in the cafe whilst the others fly around and jeer at me every time they fly past. So as for a new name I think it should be either Niviuk or Hook related or both! just to stay in keeping with this blogs previous names. 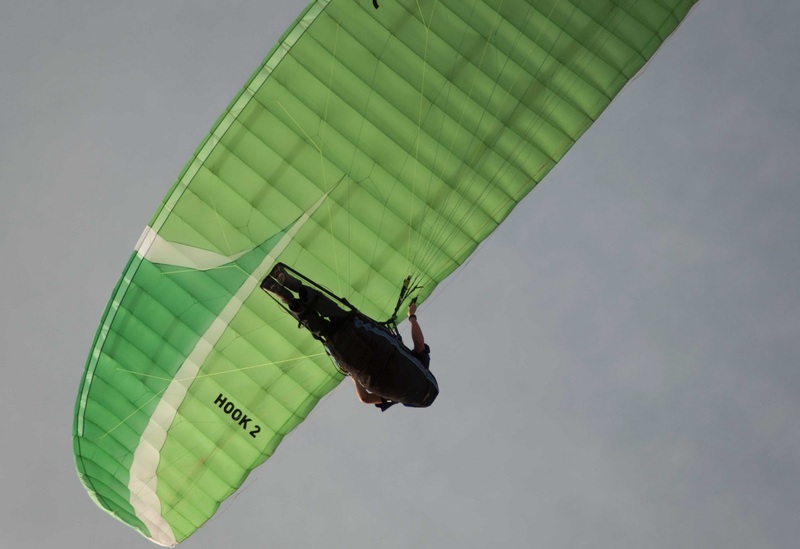 Let me describe the wing: its colour is Spring (2 tone green) and it has a SLE (Structured Leading Edge) which means that there are plastic ribs within the leading edge the help keep the airfoil shape even during collapse if that's possible! so then taking all this into account I trying to think up a blog name! maybe something like "Hook Book"! or as my good lady just suggested "Hooked" I quite like that! I'm just a little worried that with Tim also ordering a Hook 2 we may be referred to as the Cyprus Hookers! and I'm not sure I like the implication. Maybe I should've ordered an Artic? hmm. I'm off to the club house on Saturday morning to give it a bit of a spruce up and make it a suitable place to inspect my new baby. I'm hoping there will be time later in the afternoon for a quick flight so I'll be taking my wing. Well I reckon I have a blog name now so I'll sign off as I haven't been flying for a few days now. It's been a little while since I updated this blog and that is partly due to the frustration of having my browser crash on me the last time I was updating it. Needless to say I was pretty hacked off when an hour and a half of page faded in front of my eyes! Well I'm now using the "Ecto" blog editor which is the Mac equivalent of Windows Live writer. This will save the frustration I hope as I can save it as I go in the usual way. Well to add to my personal frustration I have ordered a Niviuk Hook 2 through Niviuk UK and not only did it get stuck in Customs but they also took it to Coupe Icare in France so I now have to wait for them to finnish there before they bring it through French customs and then UK customs. Oh it could take weeks! I've already been waiting 4 weeks at least. 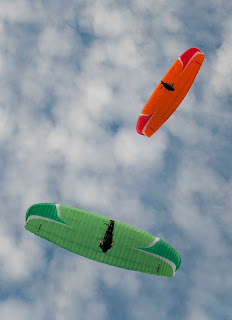 Hmmm also Tim has shared a scare story with me which says that a guy who had recently bought a Niviuk Koyot was on his 8th flight when the stitching tore along one of the seams front to back on both the upper and lower surfaces. For some reason there is no mention of a reserve chute and what followed ended in the guy's death. I'm in 2 minds about this story. On one hand I'm thinking "hmm better give my new glider a thorough check before flying it" (Something I would do anyway) but on the other hand I'm thinking why didn't the guy throw his reserve? did he even have one? if he did then why didn't he deploy it? All in all, these things are bound to happen to fabric gliders once in a while, I have seen footage of this kind of thing happening to gliders yet the pilot's were still able to land then safely. Of this was the guy's 8th flight in his career then I feel sorry for his family but I can't blame Niviuk. Not for his death at any rate. Anyway I'm not phased by this story, I will still fly my newest addition to my family albeit in slight trepidation to begin with. 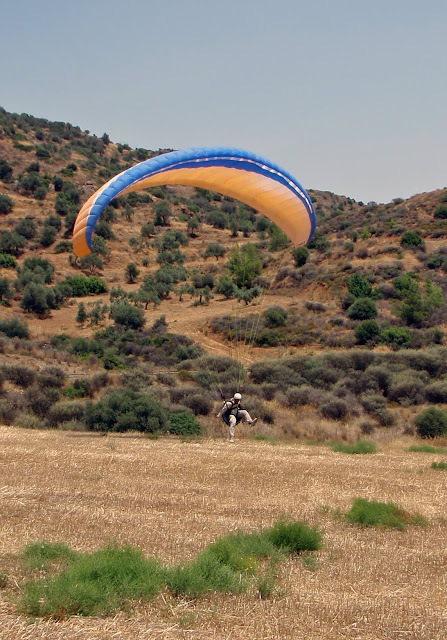 Anyway I flew a few times last week with Glenn at curium, mainly to gather Glenn's 10 probation hours so that we can fly together at Avdellaro and other nearby hills. Dave on his Niviuk Peak and Glenn in the Air . Unfortunately Glenn had a minor incident a couple of days ago and has tore the seam on his glider against the fence on the sandpit launch as well as snapping a line and scratching his arm and leg. Glenn you were so close. Lesson learned I hope. I've landed yet Glenn is able to maintain much to my disgust. Well I hope everything works out well and Glenn is flying again soon. I hope to have my glider in the next couple of weeks so if Tim is happy the Glenn can sign my wing out. Look after it mate it's been good to me. Well Tim informed us that we now have the Red Rocket back from our outgoing Club OC and so it was decided very late on that we could go to Lefkara. Me being me will never pass up an opportunity to fly a high hill (I really want to say mountain but after flying in the Alps I know this isn't true). I told Glenn to pick me up around 09:00 and we set off but as we were early I suggested we could go for the site brief at Avdellaro in advance of future flying. When we arrived on the UN111 launch I was seriously tempted to fly as the wind was perfect, I resisted and we moseyed over to the Eastern launch as this will likely be the launch the Glenn will use in his early days. The wind wasn't great at this point and so we drifted over to Lefkara and as we were still early we stopped in the village Cafe for a spot of brunch. Cheeseburgers and chips went down very nicely, Tim called to say they (Dave, Tim & Lou) were on their way and that they'd meet us in the landing field. On arrival the weather appeared to be very nice and so we all jumped in the Rocket and drove to the top! Note to Dave: Please remember it's 4 Low range not High to get to the top! Well we weren't disappointed as the wind was indeed passing nicely up the hill with small thermic gusts pushing through. The plan was for me to go first (As wind dummy) followed by Glenn that way Glenn had help on the top and bottom by the time I was in the landing field. This worked out very well and we were able to talk to Glenn for the initial and final parts of his flight on the radio. Nice launch and very good landing by all accounts. Once down Glenn set back up for a spot of ground handling and I took it upon myself to impart a little knowledge about the Mitsos (A's & C's/D's) method of launching and he seemed to take to it like a Duck to water. Once we sorted out a minor line twist issue he seems to have this method down nicely. Dave and Tim flew for a little longer than myself with Dave flying for a little over half an hour on his Borrowed UP Trango. Once everyone was down it was still early and so we decided to have a look at Curium. Curium was blowing a very strong wind so it was Frappe and Hoegarten all round whilst we waited for the evening lull. At about 18:30 Glenn and I went into the Lee of the hill for a spot of Ground Handling again before returning to the top to find a still windy but very flyable hill. A walk to the sandpit and both Glenn and myself had about 15 minutes of some very smooth air just as the Sun was setting and a landing in almost darkness on the beech! A great day all round in my opinion! could life get much better? Sorry no Pics Flight track log Here. Well today was definitely a no fly day with winds easily more than 30mph on Curium so after a quick visit to Dave's house and a nice cup of Coffee and some biscuits, Glenn (our newest member) and I set off with the idea that we would look at some of the inland sites to introduce him and also give him a definite sense of what lies at the end of his 10 hour hill probation. These first 10 hours can seem to the lay person and indeed to the new pilot to be a bit of a hindrance and many people will be tempted to miss out most of this period. I would definitely recommend that anybody who is thinking along these lines are fool hardy and will most likely come to strife on some of the larger hills with no real idea of what to do should anything go wrong. I was tempted myself but I am so very glad that I stuck to it. After my scary experience at Lefkara (Kourtellarotsos) I would have struggled to get my glider down in the tight spot that I finally ended in had I not spent all those initial hours struggling to stay aloft on our most visited and friendly hill. 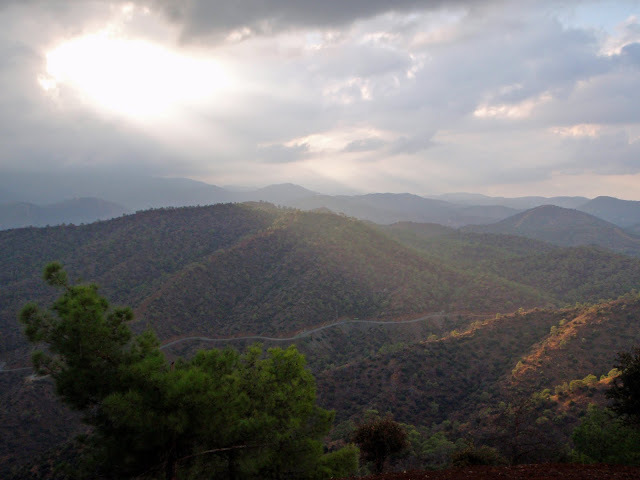 Well I digress, we had at first decided to visit Avdellaro (being the closest and most benign to Ay Nik) but en route Glenn asked about Lefkara and expressed a wish to see it and also try out his newly acquired 4x4 Mitsubishi Pajero. I told him it was a little out of the way but I agreed it would be nice to see the place and directed Glenn to launch. I am glad to announce that the Mitsubishi had no trouble at all in climbing the very steep sides of the hill and we arrived at launch in a shower of rain! We waited for the worst to pass and then climbed out into a light drizzle and very pleasant that was too. I noticed that someone had thrown the ribbon down the hill so I scrambled down about 20m to retrieve it. The view from the top with the low cloud was really nice and I was suprised that we were standing in near nil wind with the occasional light breeze blowing over the back but as I had already resigned myself to a no fly day I was not disappointed. The sun was shining through the clouds and giving a spectacular view. We decided after a few minutes of chatting about the site that we had had enough and jumped back in the car to return home with a possible detour via Avdellaro. The Pajero happily descended the top of the hill and we headed down the windy asphalt road toward Lafkara. Half way down we were stopped dead in our tracks by a very unexpected site. 2 articulated trucks had got themselves stuck on one of the hair pin bends in such a way that they could not move forward and reversing really did not seem to be an option. Luckily for us a local couple in a Toyota Rav 4 knew an alternate route to the bottom and agreed that we could follow them in order to get off the hill. Our very greatest thanks to that couple! without whom we would surely still be struggling to find our way. Lesson learned : Always expect the unexpected and be prepared to get out and chat to the people on the scene. Even if no English is spoken you can usually get your message across. Oh but my highlight of this trip was that I and Glenn actually met the illusive Lefkara Goats! I knew it wasn't Hare droppings! Well until the next flyable day I guess! Dave called me to let me know that we had the Red Rocket back temporarily and so he and Tim were going to Lefkara (Kourtellarotsos) for some thermic action. 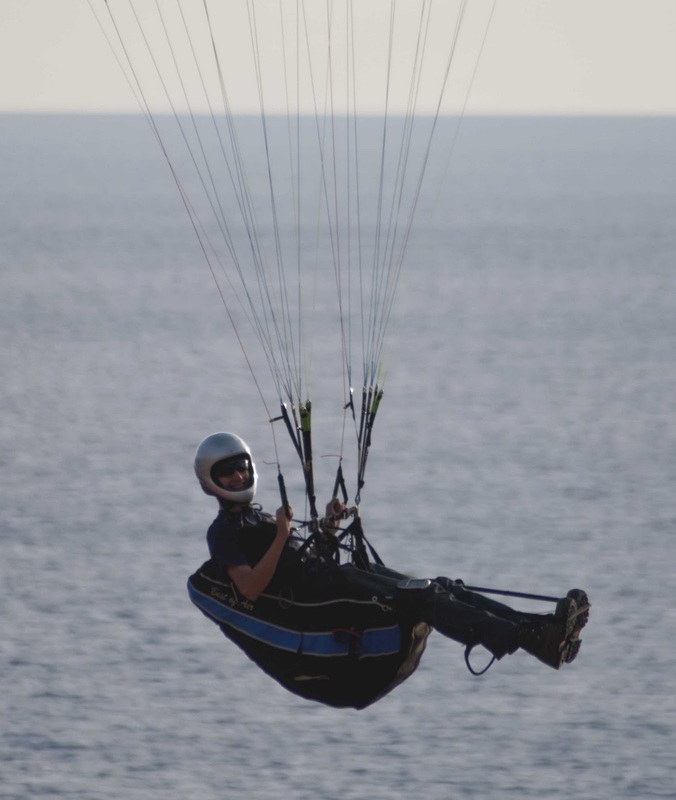 I called Jamie to ask if he'd like to try a tandem flight (as part of my crusade to get everyone at this end of the island to join the club and add some much needed pennies to the clubs funds) and he said he would. Dave I knew would be happy to take him but a courtesy call confirmed my suspicions and we set off. On arrival the wind was looking ok if a little intermittent and we all piled into the rocket and set off for launch. On the top the wind was anything but on. A little from East then from the South then the occasional spot of Northerly and back to South again. We were all less than impressed but Dave assured us that this was normal and by noon the wind should be nicely trickling up the South slope and we could launch. The day was slightly overcast with a fairly thick layer of lifted dust and this was keeping the sun from penetrating all the way to the ground with enough energy to heat it. Thus the small thermic bubbles that were passing through were just that, small! at 12:00 we went for a short walk along the ridge to the Eastern end and found that a very nice wind was pushing up this slope. Unfortunately this slope is not a recommended launch due to the Greek military base at it's foot. The Police have been known to attend the landing field in the past (largely due to Dave flying far too close to their airspace) and asking why we are there! Anyway I knew this did not bode well for any good flights but we were all now very hot and irritable and decided to return to launch to see if things had improved. Well not really but there was enough of a Southern wind to launch happily and so we decided to go for it even if it would be a straight top to bottom. Dave took off first with Jaimie on the Tandem and quickly dropped out of the little lift that was there and as I watched I feared they would not make the landing field. After some beats along the ridge and then a try for lift in the valley they gingerly eeked as much as they could out of the very small lift patches and managed to scrape into the field with inches to spare Jaimie put his leg into a thorn bush but other than that was very happy with his flight. 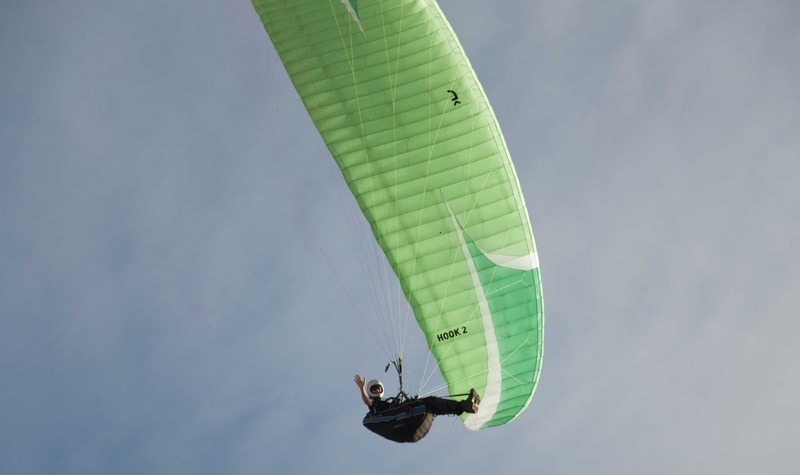 Tim launched second and enjoyed about 15 minutes in the air before also conceding defeat when his glider decided it wanted to be behind him and not above him any more. He landed very close to Dave's helmet which was laid on the ground as a make shift target. I launched last into some mildly turbulent air and went pretty much straight down! well it's a better way to get down than driving! very nice flight even if it was short! Well now I had a decision to make. Head West up the near vertical hill back to launch about 2km or head SW and skirt the greek military base around the pimple and back to my car roughly twice the distance but on the flat. Well I thought I did not want to go anywhere near the military base so I opted to retrieve the Red Rocket from the top. I had 2 bottles of water in my bag so what more would I need? Well the hill quickly became very steep and was covered in lose shale so my feet would slip on every step. I trudged from shady spot to shady spot and every time I move to the next spot my ruck sack would catch on the branches of the very low short trees sapping what little energy I had. It took me around an hour to reach the top where I stole a can of Pepsi and a Mars bar out of Tim's cool box. Cheers Tim! 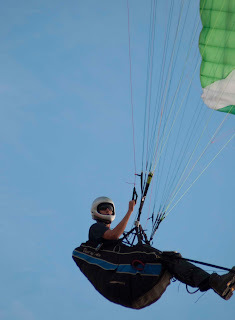 Well I finally flew Avdellaro on 16 June 2010. When Bitu (B2) and I arrived (around 11:30) the wind was looking perfect with a steady breeze blowing up the face of the hill SSW. However after 10 minutes of assessing time it was apparent that things were picking up with some quite strong thermic gusts blowing through. I set up my glider and attempted to launch but due to the unstable nature of the air 2 attempts later I had decided that it was perhaps prudent to bundle my glider and go and have a soft drink in the local Cafe. I texted Dave to let him know how things were and left it up to him to decide weather he would come along. The Cafe is a Cypriot version of Greasy Lills, it's made out of wriggly tin with a fridge stacked with juice and a few tables spread out on the patio at the front of the shop. Due to the location (an industrial estate) it is very noisy with lorries driving past and a Peugeot garage opposite revving rally car engines and the like! I really like it! The garage has three flags outside which are excellent for telling what the wind may be doing and we used these as we sat monitoring. At 13:30 we noticed that they were blowing much more gently than earlier so I texted Dave that we would go and take another look at the top. When we arrived at UN 111 it was indeed much calmer that earlier on but those thermic gusts were still present so I knew I'd have to treat the hill with caution. 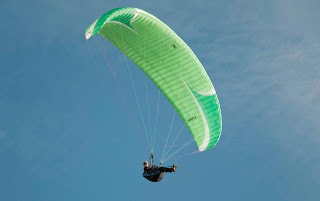 I set up and launched straight out into some reasonable lift and flew forward to check out penetration it was slow but I was pushing away from the hill so I turned right and flew along to the cliffs where I found a nice gentle lift band to play in. After 2 or 3 passes past launch I noticed a UN vehicle approaching Bitu and wondered if maybe I'd overstepped the boundary (as Avellaro sits on the boarder of the controlled zone and Southern Cyprus) but the guy mearly said "hello" to Bitu and went about his business. 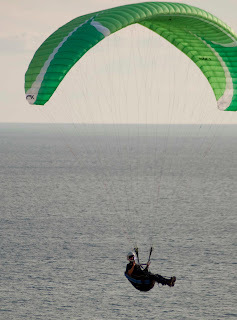 My concentration was re-focused as a sudden gust blew onto the hill pushing me back toward launch allot faster than I am used to on Curium and so I pushed my hands right up and found that penetrating now was very difficult. With my hands right up I turned toward the landing field but as I did I felt my harness drop to the left and I began to turn left, I quickly leaned to the right applied a little right break and looked up to see that 50% of my canopy was flapping around uselessly, 1 long pump of the break later and it rustled itself back into shape and I continued my decent toward landing. It became apparent that I was struggling to penetrate at all at this point so I eased out my speed bar in order to move away from the hill this made things quite bumpy but I stuck with it and eventually landed in the field opposite Bitu's car! I was pleased to have flown for 15 minutes but also pleased to be on the ground where I wanted to be. As I was bunching up Dave texted me to tell me he was coming and was about 20 minutes away. I answered him and told him I had flown and would meet him by the Iso container at the bottom as Bitu was coming for me and the UN were still on the top! When Dave arrived he suggested we leave one car by the Iso container and take the other around to the bottom landing for Avdellaro proper, then we could all drive up in the clubs 4x4 (the Red Rocket). It seemed like a great idea to me so we did just that. The proper launch is a little less snaggy that UN 111 but still has it's fair share of obstacles and lose dirt to slip on. Launch is also slightly sloped which helps keep the wing out of the wind shadow on top of the hill. Well Bitu set up first and after waiting for a gust to blow through and having a couple of hiccups he launched sweetly and was in the air. Dave and I watched him for a minute or two and then I set up, had a hiccup of my own and then launched. The air was turbulent but buoyant with patches of lift and patches of sink. I found myself a nice little patch of lift and hung around in it to get some decent height but I quickly found that once I moved away from the lift I was sinking fast. I found that I needed to eek out the lift that was there and as soon as I thought I was at the top of it then it was hands up until I found the next patch. This technique worked really well as I found myself way above launch and higher than Dave or Bitu by some significant way! Unfortunately I cannot show you my flight track as I'd left my vario in the car door which was now in the bottom landing field! oh well at least I logged the first short flight. I'd had about 25 minutes when I noticed that Bitu had landed in the UN 111 bottom landing field and I decided that perhaps I should try to land near my car so pushed out away from the hill toward landing. As I pushed away from the hill I found myself climbing steadily until I was way above the landing field and still climbing. Seeing that this field was a none starter I looked further away and found a nice (newly mown) light brown field near a few old farm shacks and I pointed at that. The field was perfect and I think it's a much better option than the one we picked out. 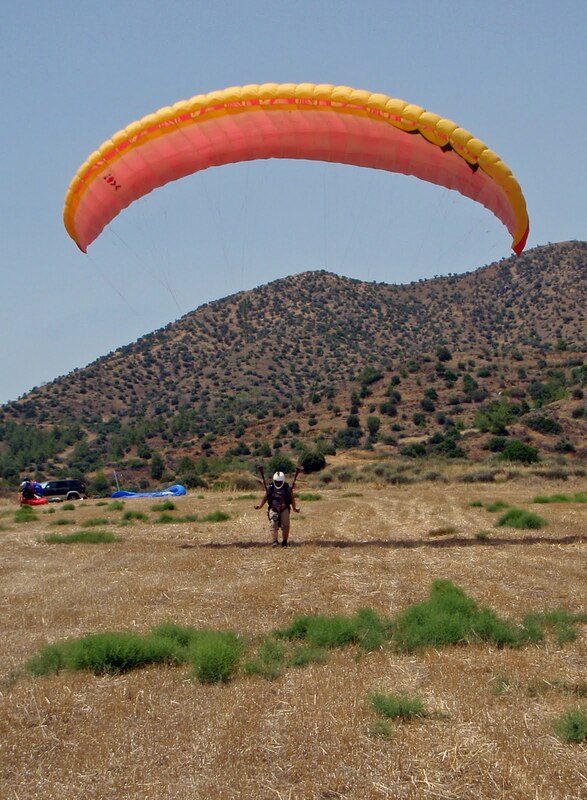 Well it was my good friend Dave's 70th birthday or something so he wanted to go somewhere other than Curium and as Lefkara has recently been scoped out as a flying site he wanted to go there. So Dave, Tim, Bitu, Pete, Demetris, Christakis, a few other Cypriots I don't know and I turned up and met at the landing field. We were met with the grinding noise of a Bulldozer which had just been employed to remove a derelict telegraph pole from the centre of the landing field, all the less for me to bump into then! :). After observing for a few minutes we headed to the top, quite a tricky drive due to tight hairpins and narrow, near vertical ridge-line tracks. 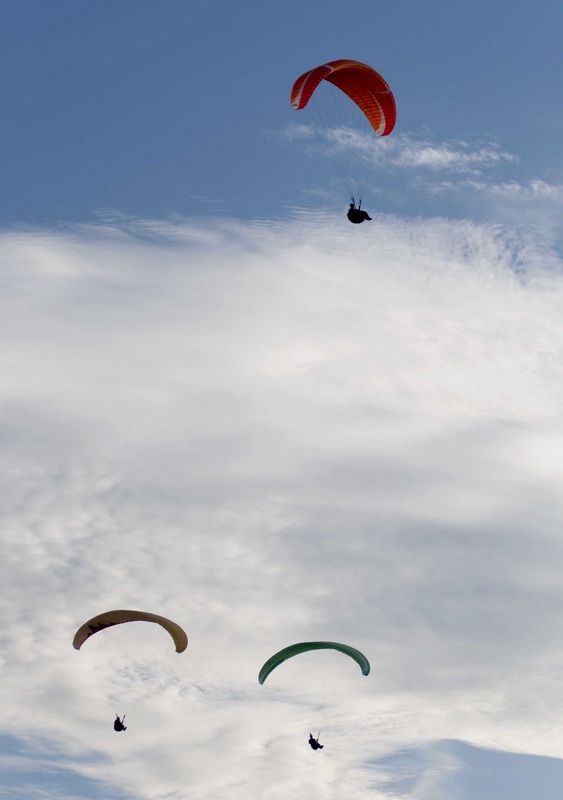 If you're of a weak disposition then I wouldn't bother but you're all paragliding types like me aren't you! so you'll all get a kick out of it when you crest the blind summit and immediately stop to avoid careering over the launch and down the other side! When we arrived at the top the wind was blowing over the back albeit very weakly with a few weak thermic gusts pushing their way up the Southern slope so we waited until around 12:00 when the valley thermals were finally stronger than the met wind and we could launch. I was third to go and found the air to be quite buoyant along the ridge but not amazingly lifty. Dave came on the radio and suggested I try out to the Eastern side of the bowl where he thought there may be some more lift. He was right of course though I reckon he just wanted to use me as a wind dummy! The lift was short lived as I fumbled for my camera and quickly dropped out of it and ended up bobbing around in the valley between launch and the landing field. I played around with the little lift I could find there for a while before landing just on the entrance to the field a little low over the road for my liking but otherwise a nice soft touchdown.